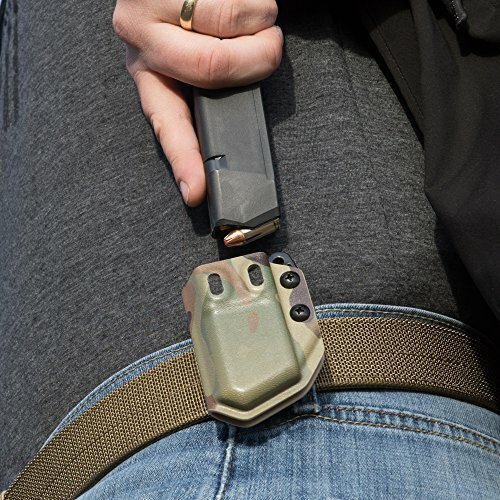 Although the Universal Mirror Mag Carrier adheres to comparable manufacturing procedures of it is actually precursor, it is actually entirely various with enriched efficiency as well as functionality. 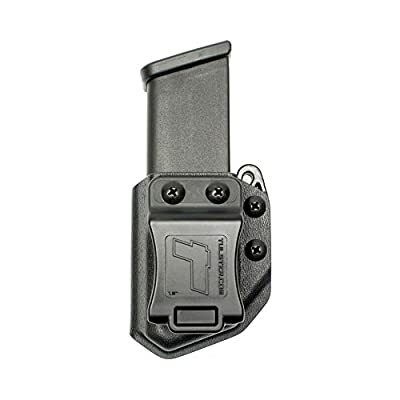 Like the Account IWB holster, our experts maintained the minimalistic design permitting it to be as low profile as feasible. Each Universal Mag Company for the.45 ACP/10mm Double Heap Publications are actually vacuum developed to a specific match as well as finish. Easily, the largest change to the Tulster Mirror Mag Bag is the MRD (Mag Loyalty Tool). This ingenious tool delivers a brand-new expertise to the magazine service provider on its own by making it possible for incremental adjustments to the retention of your magazine draw. 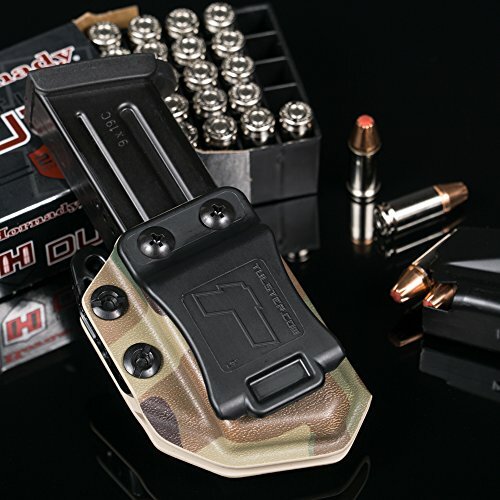 Besides loyalty, the MRD can easily also be actually gotten used to allow the unique selection of.45 ACP/10mm Double Heap Journal coming from several gun makers. 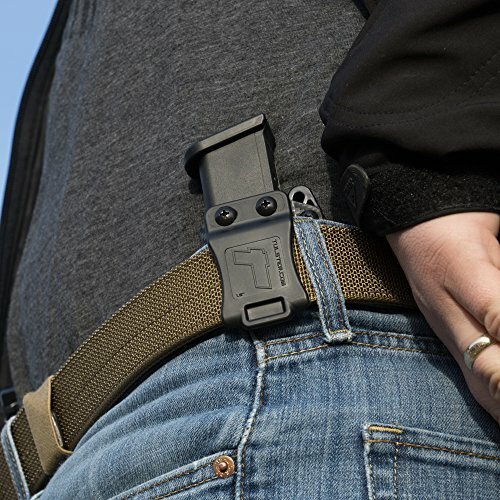 The featured 1.5" Belt Clip or extra Soft Loop set may be transformed coming from side-to-side to allow IWB (Inside the Waistband) or OWB (Outside the Waistband) carry; accommodating both Right or Left behind Handed shootings. Small cant adjustments for quick clips as well as soft-loops can easily also be actually helped make with the slotted gaps on either edge of the service provider. Suitable hold when drawing the magazine on a reload is key. Consequently, the forward side of the Mirror Mag Carrier was actually deliberately cut at a look for a mark factor. Works with .45ACP Double Stack magazines - adjustments made with included 1/8 allen wrench. 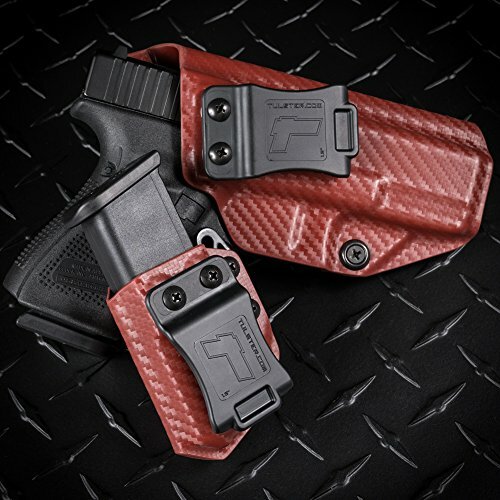 Can be worn OWB or IWB for Right or Left Handed shooters. The forward side of the Mag Carrier was also intentionally cut at an angle for an index point to ensure a proper grip when drawing the mag. The enclosed design ensures rounds do not get pushed out of the mag unintentionally. 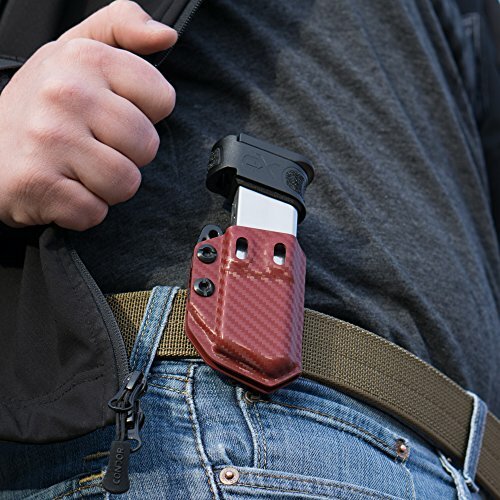 Comes with a 1.5" Quick Clip that makes it extremely fast and easy to put on and take off.